Google Penguin is an algorithm which detects solely link spam and thoroughly investigate and take decisions accordingly. Few years ago, link building was so easy, u have just just to make backlinks without any worries of being penalized as Google Penguin didn’t exist back then. If you want to start backlinking of your website then your first priority will be how to prevent from google penguin? Like Google Panda was about thin content penalty and issues related to on-page seo while Google Penguin Analyse your off-page SEO like backlink profile. 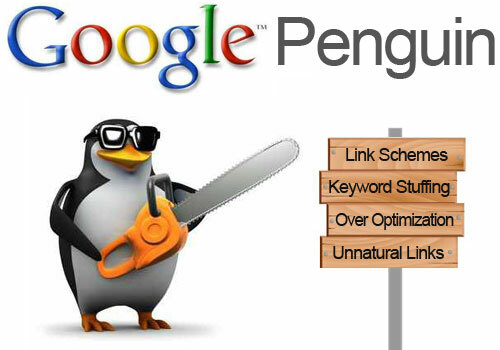 Google Penguin not only check links but authority of the source as well. You have to check the authority of source page’s website. It’s not about the page. It analyze authenticity of whole website. You have to ensure the website is not spammy and is not penalized by Google earlier. You have to ensure the backlink you took from the site is solid and valid.What Google Penguin do? Google Penguin labels your a to z backlinks one by one. The websites you are taking backlinks from are spammy site, It labels those links and in case of red alert, it passes to the manual web spam team which verify link profile manually and most of the time they detect that person is using unfair means for link building then in webmaster, they send you message that your website has been hit by a manual penalty. Penalty may result in de-index OR ranking drop or both. Everyone say “Do-follow” links are better but it alert Google about pattern of links as how come all links be do-follow naturally so in a result, Google will de-index and penalize your site. Sidebar links, site-wide links, menu-bar links, footer links and contextual links leave some pattern and Google Penguin labels those links. For example, footer links may labeled as red and contextual links as green. Did you know? Search Engine Algorithms use backlinks as strong ranking signal. Penguin Ignores bad links automatically means if you have spam links then Penguin algorithm ignores those bad links and don’t give weightage of those links hence it won’t affect your ranking rather positive or negative. So, now you will have to find Good quality backlinks if you want your rankings last longer in Search Engine Result Pages. Here is the question sir, If Penguin ignore our bad back links, So why our website kw ranking is going down? 1. Your number of links have now been decreased. 2. You have raised a red flag to google that something is fishy. Then what your point of view if we build backlink without worry any negative effect and is it necessary if we find spammy links pointing to our site disavow needed or Google will count it as a Spam and is there any negative effect of it? My web design website took a HUGE hit in the SERPs after penguin. I think this was because when I built a client’s website I was using site wide footer links (dofollows). Do you have any thoughts on the best way to recover from this? I don’t really want to jump in there and change all the backlinks. Cheers, Josh. If they considering my backlinks as spamming then how we can chnage them into normal links or non spammy links. Or we have to choose trust worthy sites only. Sir give any tip then how i can rank website ??? 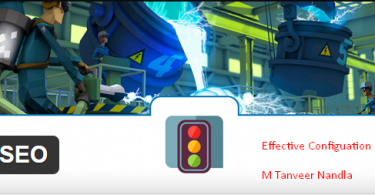 1.how to remove bad backlinks? 2.how can I make good backlinks?